Every year my family and I make the trek for Kentucky across to North Carolina for a well-deserved 2 week break. Every time that we go we like to use a vacation rental as our accommodation as it really suits the whole family. In recent years we have used the fabulous Elan Vacations as they have some of the finest properties throughout the Outerbanks, one of our favourite places to stay when we are in the Tarheel State. When we go to NC we love nothing more than spending our days by the beach and this is a state with a great many beach locations to choose from. For that reason I wanted to write this piece so that if you are planning on taking a vacation rental in NC in order to best enjoy the beaches here, you can choose between some of my favourite spots to go to. The Outerbanks is that long strip of land which you see when you look at the coast of North Carolina on a map, it has beaches on both sides and it offers some amazing vacation rentals and some beach resorts which cater for everyone. Our favourite spot within the Outerbanks is Nag’s Head, a place with some of the most amazing shoreline in the state and a location which perfectly blends tranquility with activity, a combination which lends itself perfectly to family stays. 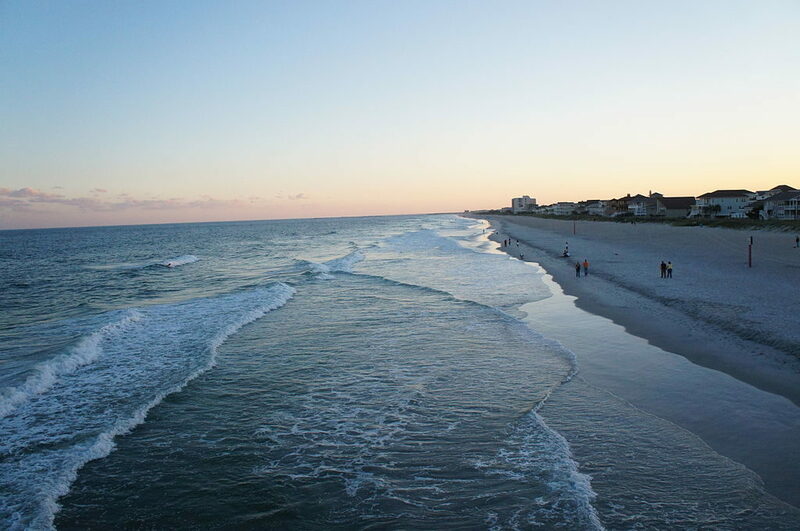 I would argue that Wrightsville Beach offers tourists the softest sand on the whole of the North Carolina coast and whilst the beach does get very busy during peak times, it is definitely worth staying here if you want a great vacation. The beach resort is very accessible from the nearby Interstate 40 and after leaving the road you will be at your location in less than 20 minutes. The convenience is very good if you have been traveling for a long time and thanks to the popularity of this place, the infrastructure is absolutely perfect for catering for you and your family. A fun fact about Kill Devil Hills is that this town was actually the launchpad for the very first and now infamous Wright Brother aircraft flight back in 1903 and there is a monument here which you can visit that is dedicated to the brothers successful flight. Things have changed a lot since then however and in fact this town didn’t even exist when they took their fateful flight. The town is now a perfect place for a family vacation with plenty of rentals to choose from and some of the most exceptional beaches that you will find in the state. This is a resort that is much more relaxed than many of the others and this means that you will have plenty of time to spend with your family and to get away from the world for a while.